NASHVILLE, TENN. (DECEMBER 06, 2016) Provident Music Group was honored with eight GRAMMY nominations this morning as the nominees were announced for the 59th GRAMMY Awards. Among those nominated were first-time nominee Zach Williams of Essential Records and multiple nominee Kirk Franklin of Fo Yo Soul/ RCA. The Recording Academy will present the 59th GRAMMY Awards on Sunday, Feb. 12, 2017. The awards will be live from Staples Center in Los Angeles and broadcast on CBS at 8 pm ET/5 pm PT. See below for the complete list of Provident Label Group, Essential Music Publishing and RCA Inspiration nominees. 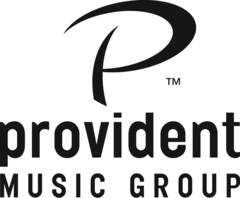 ABOUT PROVIDENT MUSIC GROUP: Provident Music Group, whose labels include Essential Records, Reunion Records, Essential Worship, Beach Street Records and RCA Inspiration, is home to an artist roster including Casting Crowns, Third Day, Tenth Avenue North, RED, Matt Maher, Fred Hammond, Marvin Sapp and Travis Greene, among others. Provident Music Group also consists of Provident Films ("War Room," "Mom's Night Out," "Courageous"), Essential Music Publishing and Essential Artist Services.